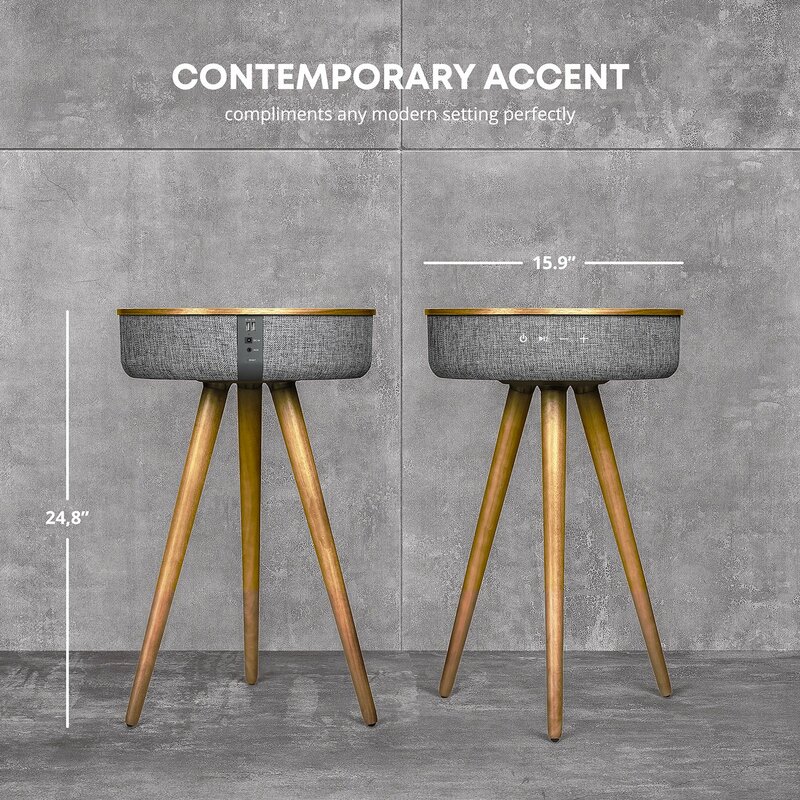 SIMPLE ELEGANT & FUNCTIONAL - Introducing the modern accent table. 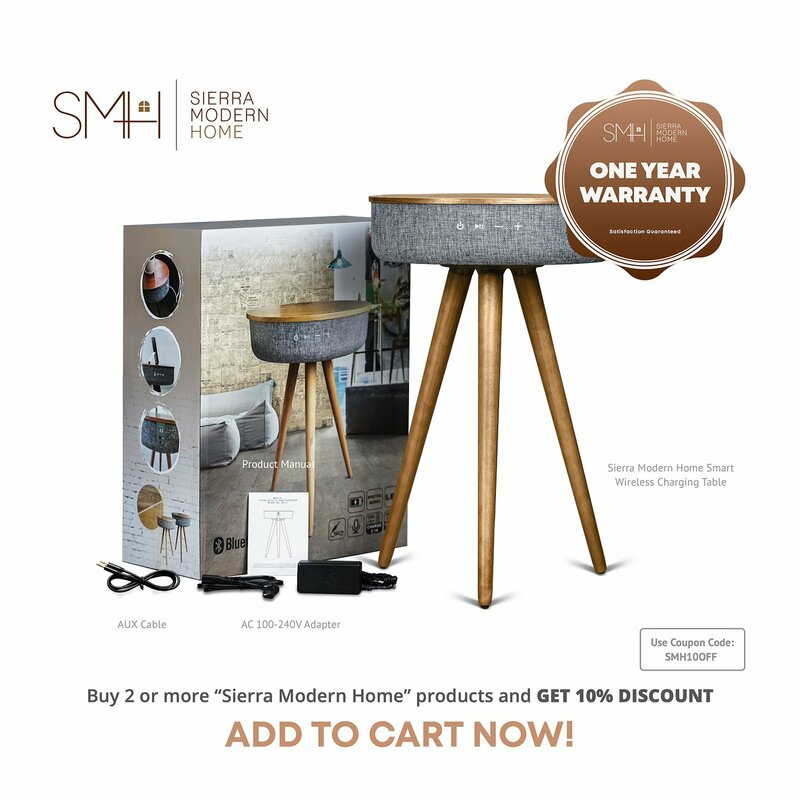 Standing 25 inches tall, this contemporary accent piece compliments any modern setting perfectly. Featuring sumptuous natural Ash wood wrapped in grey heather fabric. 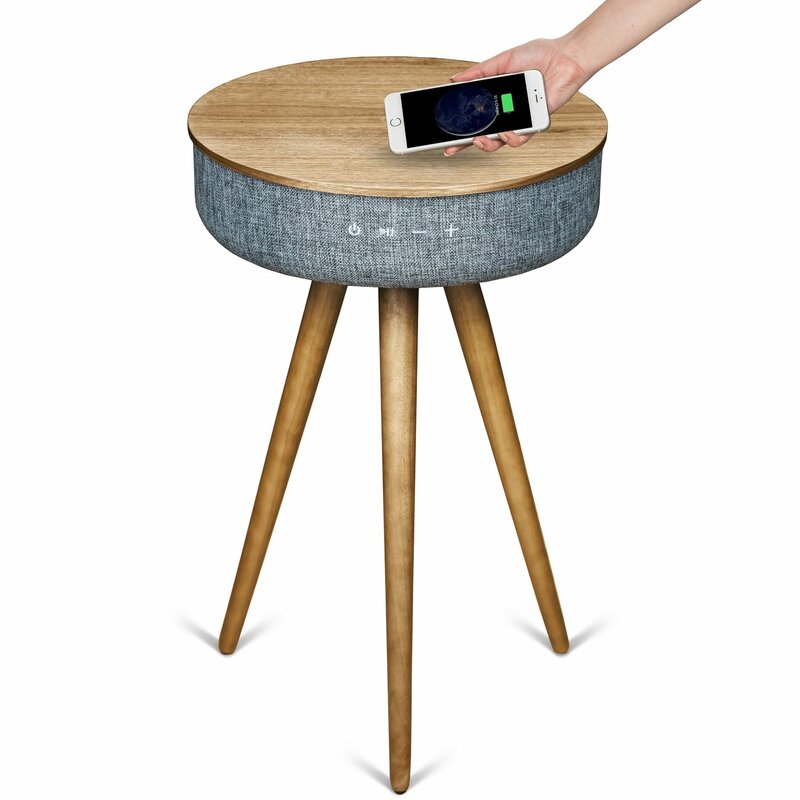 This table features a powerful built-in bluetooth speaker and wireless Qi charging for the today's wirelessly enabled smart devices. 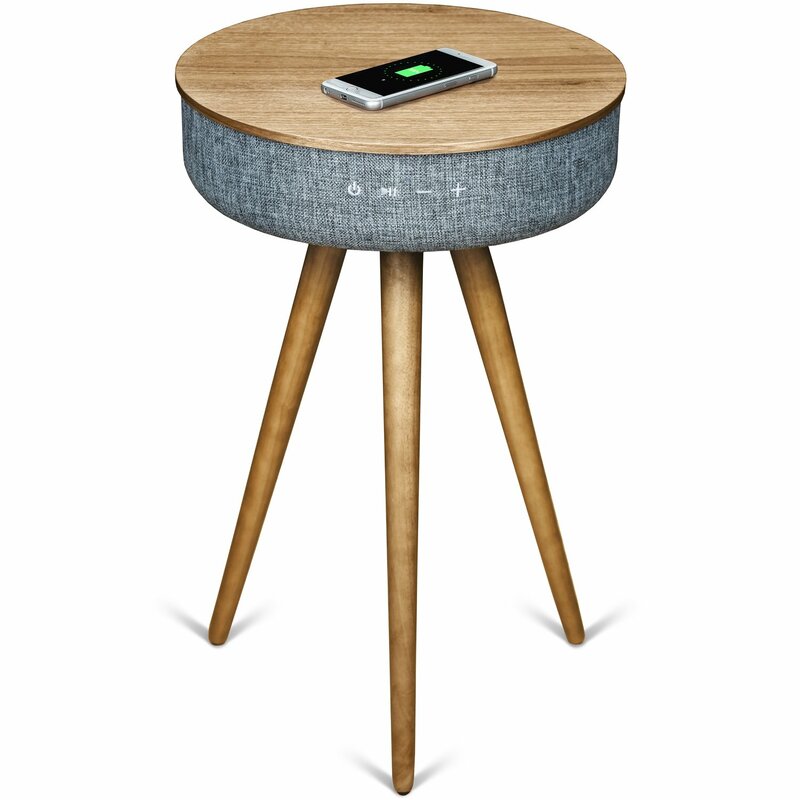 The table itself has a large rechargeable battery so you can move it for hours of wireless use. 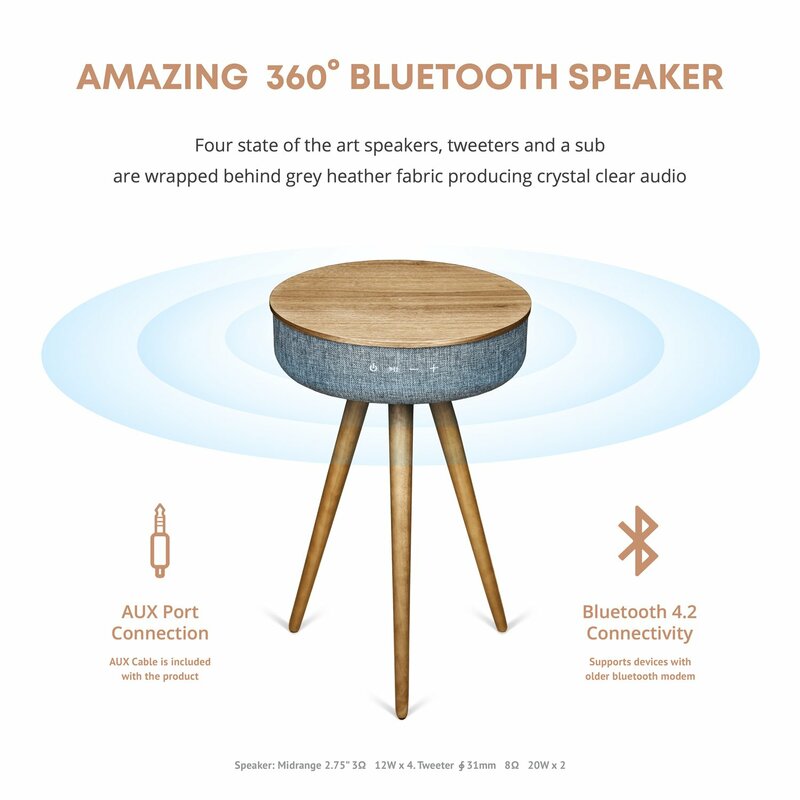 360° BLUETOOTH SPEAKER - Four state of the art speakers, tweeters and a sub are wrapped behind grey heather fabric producing crystal clear audio. 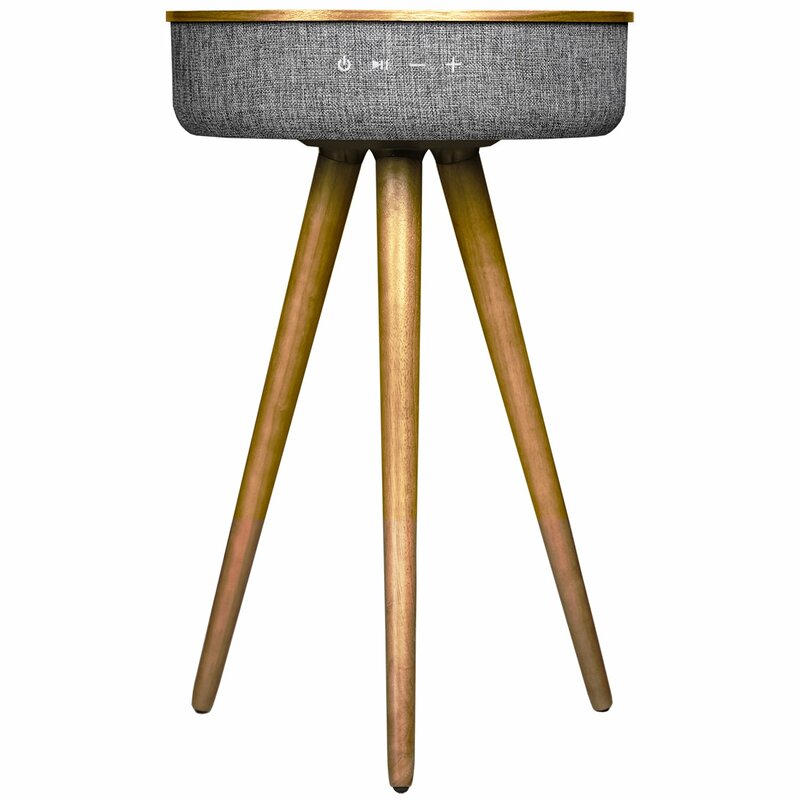 This table produces a 360° full stereo effect producing massive audio to fill any sized room. 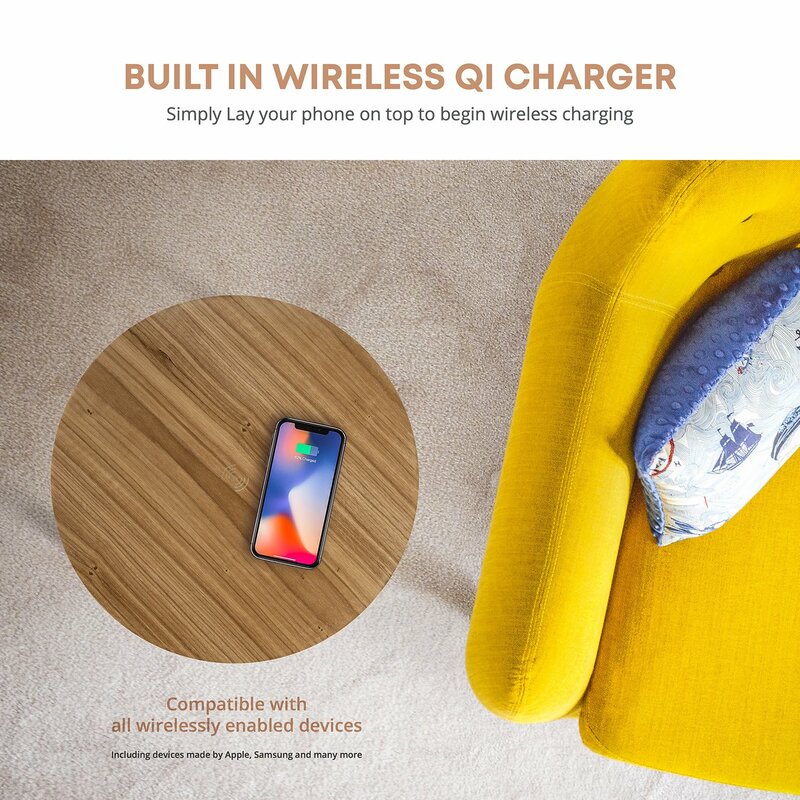 Qi WIRELESS CHARGING - The future is wireless. 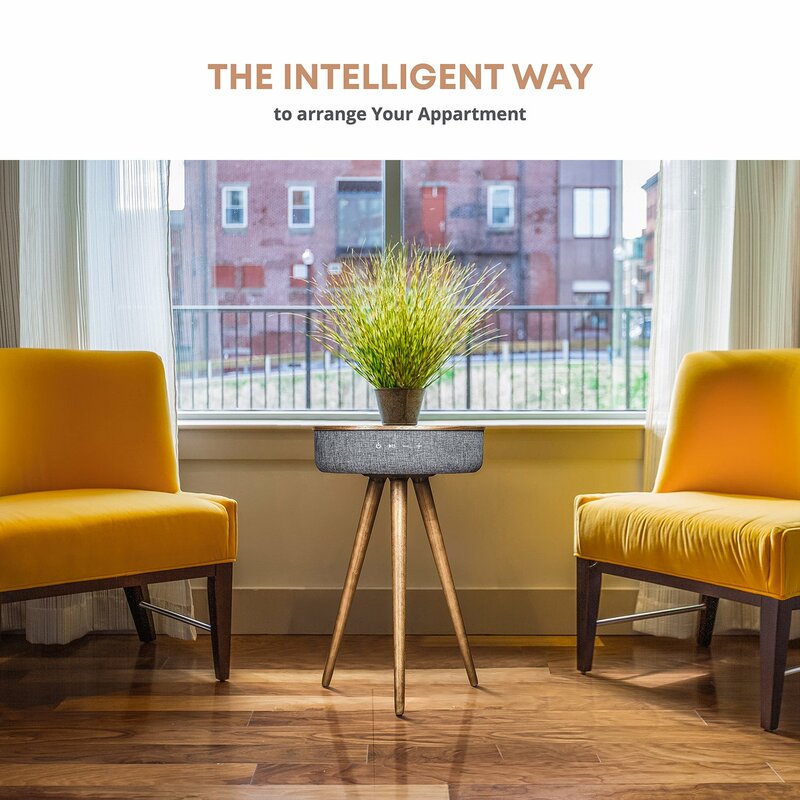 A built in wireless charger allows you to simply set your smart device on top of the Qi symbol on the center of the table and it will begin charging your smart device. 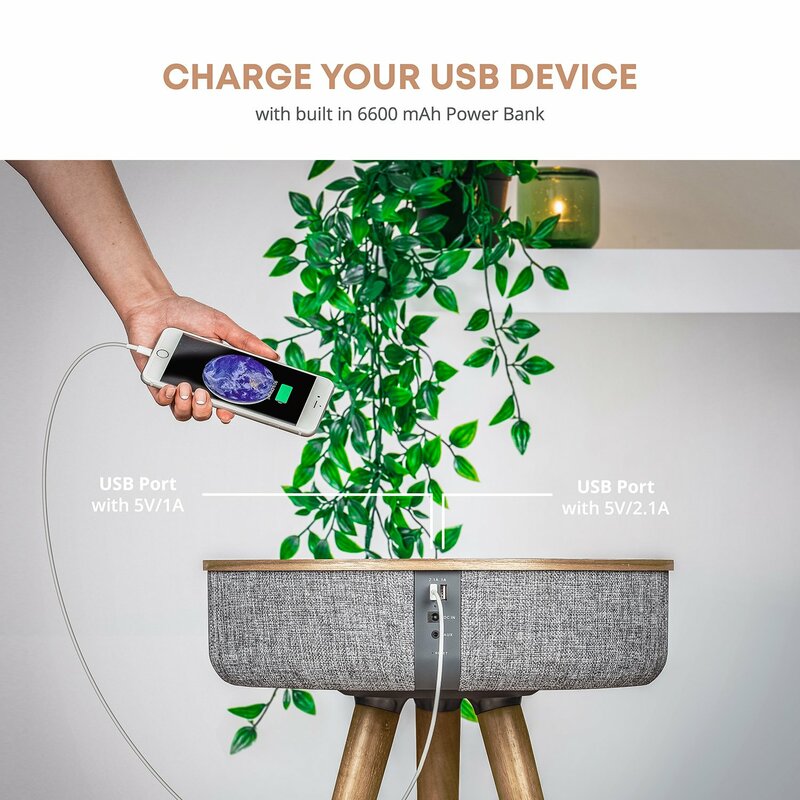 Compatible with all wirelessly enabled devices like iPhone, Samsung and more. Please note that Wireless charging only works when your phone is not covered with a protective case.